Upon application and when it’s time to do the public access test for accreditation we ask for a diagnosis letter from your treating practitioners. The original medical letter that is requested to be attached to your application can be done by your general practioner, this is simply a letter stating that you have a disability, and that they believe an Assistance Dog would be of benefit in mitigating that disability. (See example of letter below). The second one which is requested ahead of your PAT is to be completed by a specialist, it is expected to have the same information. These letters assist us and you, in meeting the legislation, and it helps us assist you by knowing your formal diagnosis. We do not expect your practitioners to get in touch with us to follow up with their letter, it is to be an open ended referral/request/proof of disability, not a back and forth reporting between doctor and us. Nor do we contact them for any further personal information. Your letter does not need to disclose anything that does not directly pertain to the use of an assistance dog or your health and safety whilst training with us. Eg. 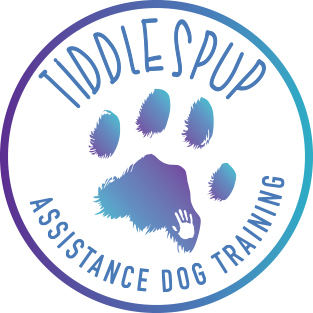 If you have uncontrolled seizures but the dog isn’t for seizures, it is not necessary that your doctor notes it, but we would like to be told so we know how to help in case of a seizure happening while we are training together. There is a section on your application that queries this additional information.